At first I thought it must be a joke. I really did. But, that’s not Rob’s style. The text read 25 RED-THROATED LOONS at Wickham Lake. Really? You’ve got to be kidding me. I was pessimistic about them sticking around until I got out of work, but somehow they did. I arrived just after 6 pm and I have to say that they did not disappoint. 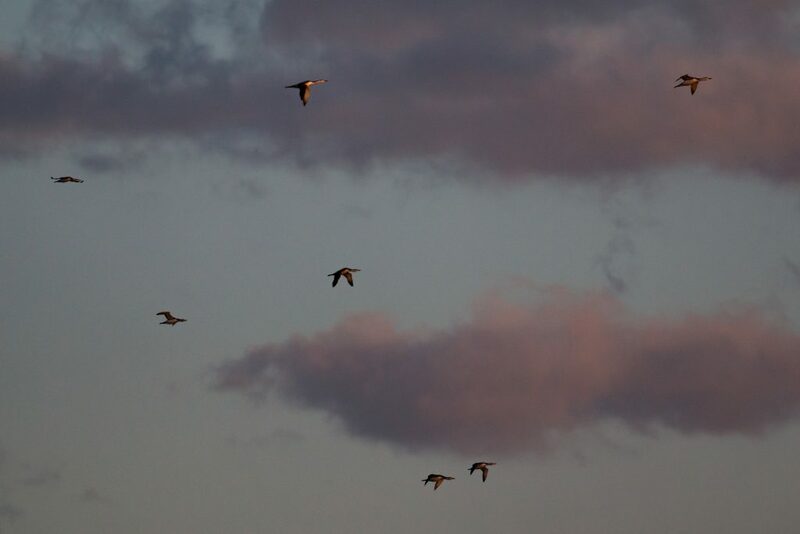 I enjoyed an amazing evening watching these beautiful birds make their way around the lake. They must have been quite comfortable since, with the high winds, the water was extremely rough. I was really curious to see what they would do as the sun started to set, and at 7:10, all but six of the RTLOs took flight. After several laps around the lake, gradually getting higher and higher, they departed, heading west-northwest. 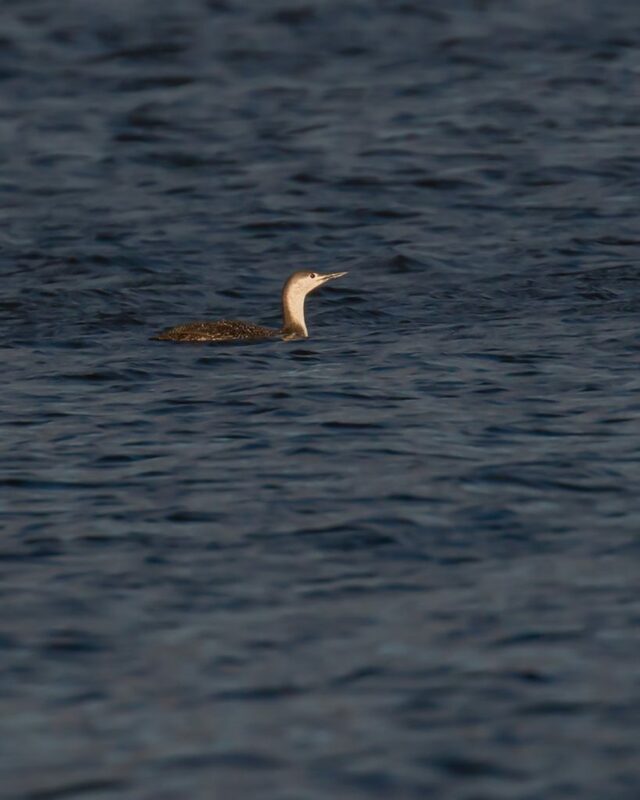 Shortly after, I headed out, leaving the lake to the remaining 6 Red-throated Loons. I wonder if they will spend the night? So amazing! 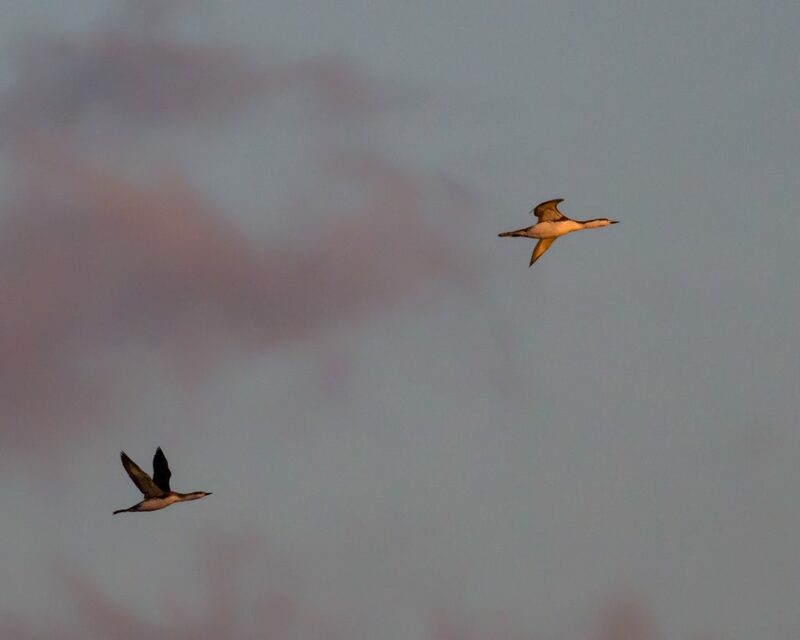 I love the shots of the Loons in the light of the sunset. It must have been hard to hold stead in that wind to take a photo. Beautiful photos Matt! I was just there about 20 minutes ago, and there was a group of 6 loons close together. 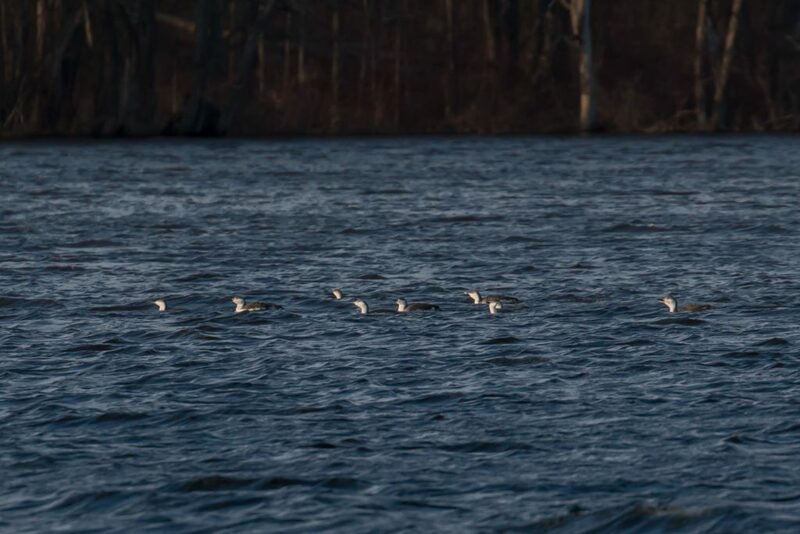 A pair of cormorants (there were quite a few scattered around the lake) flew in and landed right among the loons. Yes, they were still there. Stopped by after work again at 7 am. I counted 5 and had fun watching a pair of males buffleheads competing for a female. Also had a river otter swim along the edge keeping an eye on me.